Bonnaroo, a Creole slang word meaning “a really good time”, has spent over a decade living up its name since it was initially organized in 2002. If you’ve been to Bonnaroo before, you know the drill – a sea of tents washing over secluded farmlands, muffled music emitting from a tent on the horizon, people high-fiving each other as they pass, and your favorite bands playing until 4am. Held on a 700-acre farm in Manchester, Tennessee, the Bonnaroo Music Festival is an annual four-day concert held in June, welcoming over 80,000 party-goers every summer. The event is hosted by Superfly Presents and AC Entertainment at what is now known as Great Stage Park, about an hour south of Nashville. There are two main stages that feature a majority of the headlining acts, while This Tent, That Tent, and The Other Tent host other bands and events, and is the site of the epic super-jam, a one-off session featuring various musicians performing at the festival. Influenced by the art festival concerts of the 60’s and 70’s, Bonnaroo epitomizes everything you could want in a music festival – talented line-ups, a friendly atmosphere, delicious food and constant sensory stimulation wherever you go. Outside of music Bonnaroo also features a Comedy Tent, which has hosted performances by comedians Chris Rock, Louis C.K. Aziz Ansari and Daniel Tosh. 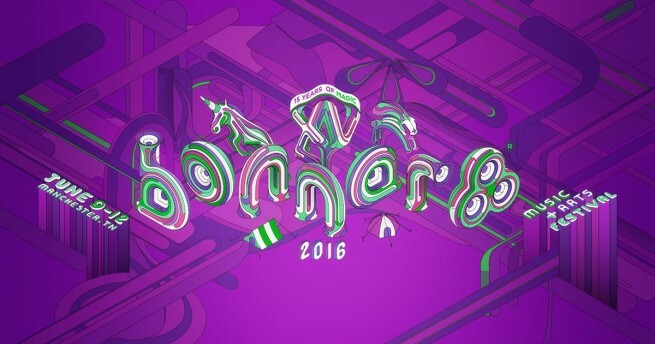 The festival has been heralded by many media outlets: USA Today called Bonnaroo the “culmination of a musical movement”; CNN described it as “Music and subculture melted together into a pot of creative bubbling energy”; and in 2012, Rolling Stone named it “Best Festival” while dubbing it the “ultimate over-the-top summer festival”. Private Jets Nashville can arrange your private charter flight to arrive at (BNA) Nashville International Airport, 60 miles away from the site of the concert. Private flights allow you to skip baggage checks and the long lines associated with commercial travel. With all that extra time and no guesswork to do, you and your c’roo can focus on What Stage or Which Stage to hit up first. (THA) Tullahoma Regional Airport is also available closer to the park, as is (88TN) Piney Creek Airport, although its limited runway length means only certain types of aircraft can land there. Private jet travelers heading to Bonnaroo will want to check out the festivals exclusive accommodations new to this year’s event. This year, VIP campers can rent a Cabana for the ultimate “glamping” experience ($2,950 plus a $500 damage deposit). The Cabanas feature hard-walls with a lockable door, two twin beds, a personal cooling unit, power outlets, lawn chairs, blankets and a collapsible cooler. Request a Quote or give us a call at 1-888-987-5387 to speak with one of our Nashville Jet Charter representatives to arrange your private flight to the Bonnaroo Music Festival in Manchester, Tennessee.